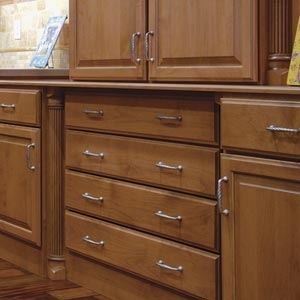 Part of having the perfect cabinets and doors means having the very best in kitchen cabinet hardware pieces. We offer the hardware that is both functional and decorative to make your kitchen cabinets both impressive and affordable at the same time. Visit True Value where we have the selection of drawer pulls, cabinet pulls, decorative knobs, door knobs, hinges, kitchen cabinet knobs and top knobs to fit your project.